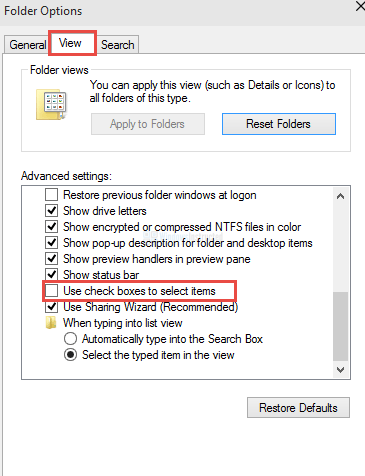 In this tutorial we will explain how to use check boxes to select items in Windows 10 and Windows 8. This option does not replace the CTRL key method, but makes it easier to select items without using your keyboard, every file, program and so on will have a small box in the corner which you can check, doing this will make it selected. A good feature on touchscreen devices, at least that´s my opinion. 7. If you wish to use check boxes to select items then check the box, if you do not wish to use this feature then remove the check. 8. When you changed the setting, click on OK to confirm the changes. That was it, it’s very simple if you know where to search for it, we hope this tutorial helped you change the setting in Windows 10 and Windows 8. If you need more help with this then feel free to visit our forums, we’re we can assist you personally for free.